Waiting on Wednesday is a weekly meme hosted by Jill at Breaking The Spine. It features each blogger's most anticipated books. 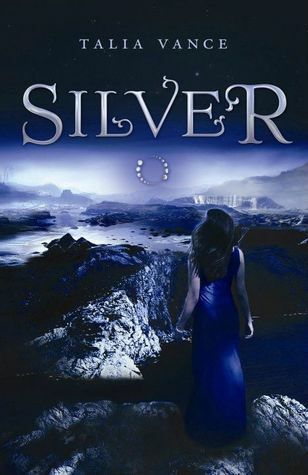 This week, my pick is Silver by Talia Vance. Summary: "Beauty is pointless when no one's looking. Brianna Paxton has been invisible to guys since the eighth grade. She’s pretty enough, it’s just that no one bothers to look. There’s almost nothing that can’t be explained with science, and Brianna has a theory: she’s missing the pheromone that attracts people to one another. Brianna’s theory is shot to hell in one frozen, silver moment, when time stops and Blake Williams not only sees her, he recognizes something inside her that she’s been hiding from even herself. Before Brianna fully understands who and what she is, she accidentally binds her soul to Blake. Forced to find a way to reconcile forbidden love and her bloody heritage, Brianna discovers that there's nothing pointless about her, and Blake may be in the most danger of all." Why I Can't Wait: I think I'm a sucker for blue covers because I am absolutely in love with this one! There's something about it that gives me this mysterious, sad, yet beautiful vibe. It probably also doesn't help that the summary makes me want to drop whatever I'm reading and pick this one up. It doesn't sound like any I've read before, and I appreciate that. After looking at the release date, it looks like I'll be waiting a while for this one. Le sigh. OK, this sounds super romantic! I haven't heard of this one before, but it sounds fantastic.